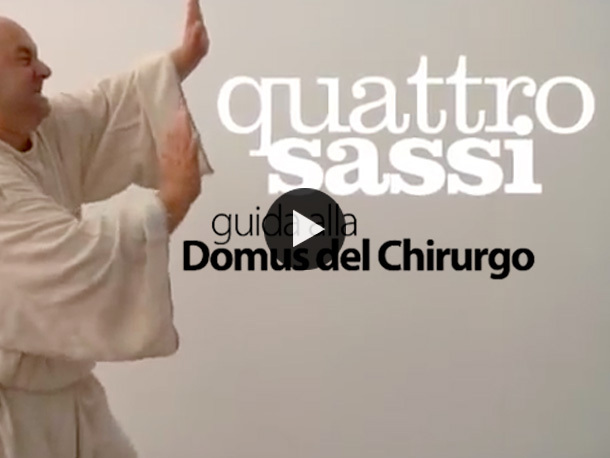 Our audiovideoguide tries to solve a problem: how to help people with mental disabilities to imagine the surgeon’s domus at the time of the Romans? Our idea planned to make an audiovideoguide tablet that could show images in a larger format than a mobile phone. Easy to hold and use. The GUI is coordinated with the signage in situ. The story of the surgeon Eutiches guides the narrative. The eyes of the human guide is always fixed in the look of the visitor not to lose eye contact and in order to facilitate the concentration and the learning. The images try to fill the difficulty of imagining how “was” the domus.